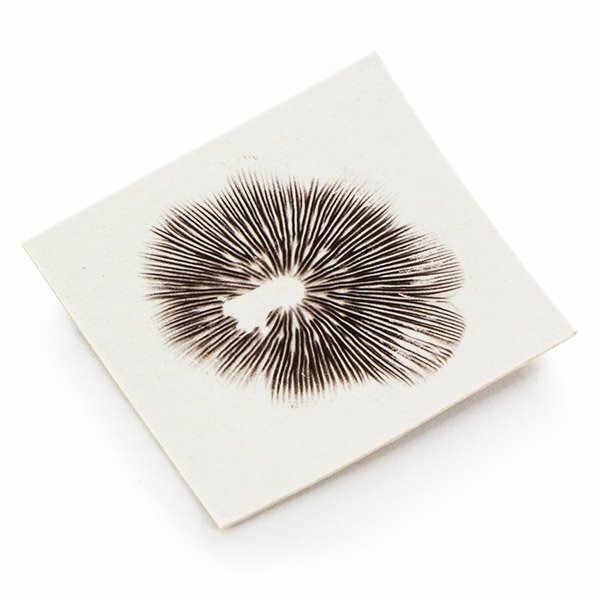 Our Psilocybe Mexicana Truffle Spore Prints allow you to grow your very own Mexicana truffles from the comfort of your own home. The Mexicana strain of truffles is an extremely popular variety, cherished for their ability to induce a mind opening and often spiritual experience. Truffle spore prints are exclusive to Zamnesia; you won’t find them anywhere else! Originating from Mexico, the Psilocybe Mexicana strain of magic truffles (and mushrooms) are well known across the globe, and usually the first stop for budding psychonauts. The Zamnesia Psilocybe Mexicana Truffle Spore Print will give you the raw ingredient you need to grow these little nuggets of spiritual joy yourself, ensuring you have a handy stash of “The Flesh of God” close to hand. A truffle spore print is the raw ingredient required to grow your own truffles in a sterile growing substrate. Each of our truffle spore prints has been created from highly-bred strains specifically selected for their truffle production ability. Psilocybe Mexicana has been used for centuries as a way to open up the soul and assess what lies within. Upon colonisation by the Spanish, the use of such spiritual fungi was heavily suppressed by the Spanish Inquisition. Fortunately, they were unable to completely wipe out the traditional use of the mushroom and truffle, allowing its use to be rediscovered by the West back in the 1930’s. From here, it has gone from strength to strength. Truffle spore prints are exclusive to Zamnesia, and only available in limited amounts, so grab one while you can! All magic truffles contain varying degrees of psilocybin, the psychoactive compound mainly responsible for the trip. Psilocybe Mexicana is considered to be one of the mildest varieties, containing less psilocybin than other strains. This gives Mexicana the ability to induce a pleasant and euphoric trip when taken in a standard dose, making it a good starting point for novices. Larger doses can result in hallucinations, changes in perception of time and space, introspective thought, the breaking down of barriers, and a general feeling of oneness with the universe. Spore prints can be stored for a few years as long as they are kept in a cool, dark, and dry environment.